Ex-BJP MLA Raju Kage slammed Karnataka Chief Minister HD Kumaraswamy over his ‘makeup’ remark against PM Narendra Modi. A week ago, Kumaraswamy alleged that Prime Minister Narendra Modi Modi does "makeup" to get a glow on his face before appearing in front of the camera. Following which Kage mocked Kumaraswamy saying the Karnataka CM will still look like a ‘buffalo’ even if he bathes 100 times. Former BJP MLA said that PM Modi is fair while Kumaraswamy is dark. He said, "Kumaraswamy says Narendra Modi applies powder 10 times and changes 10 clothes in a day. Arre, Modi is fair and good looking. 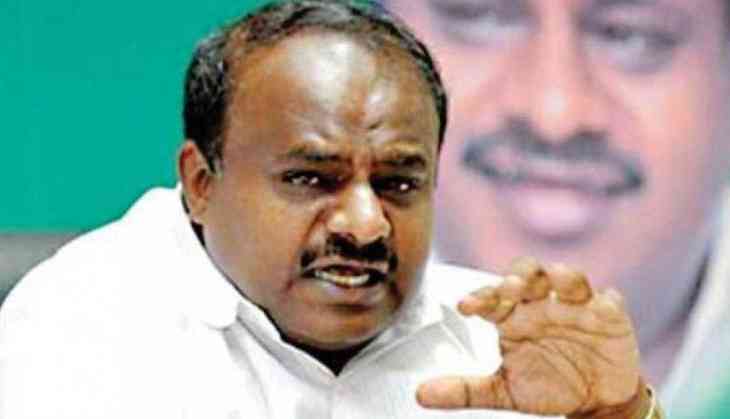 Kumaraswamy, even if you bathe 100 times, you will be like a buffalo." Earlier, Kumaraswamy has alleged that media shows only Prime Minister Narendra Modi’s face as he gets makeup and waxing done while ignores opposition leaders. Kumaraswamy had said, "Narendra Modi, before coming in front of people and camera in the morning, does makeup by waxing to get a glow on his face...but in our case, if we go out after a bath in the morning, will take bath only next morning and wash our face. Our face doesn't look good on camera, so our media friends also don't like to show our faces, they only show Narendra Modi..."